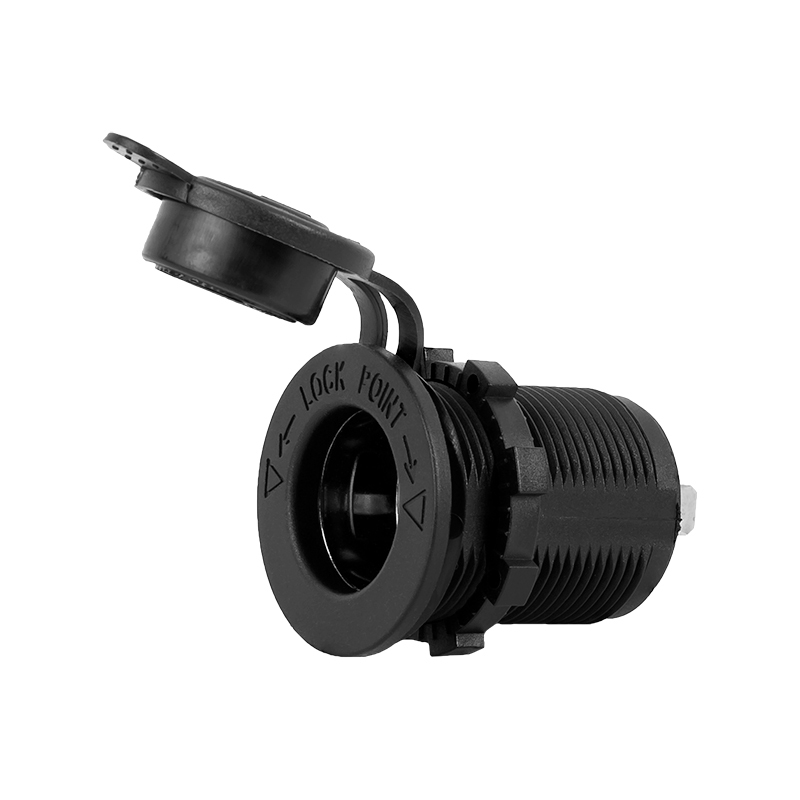 This cigarette lighter adapter can be used for a cigarette lighter or to charge your cell phone, tablet, iPod, or other device. 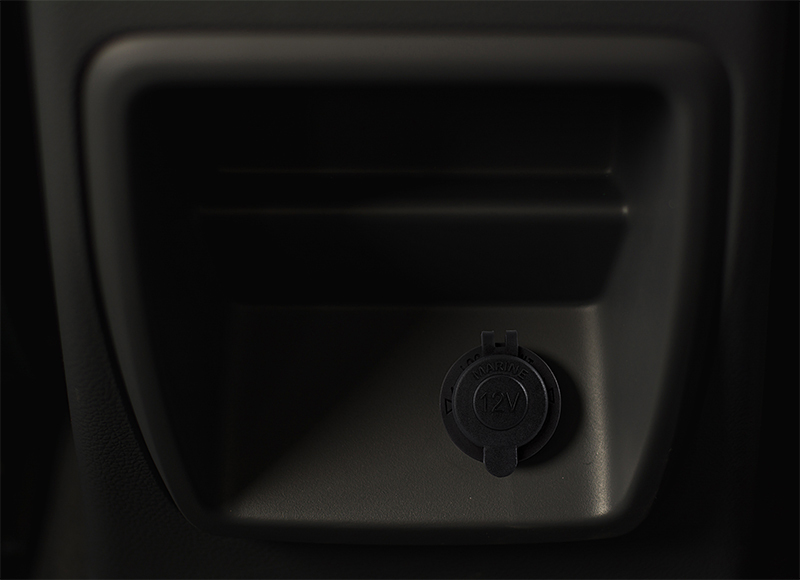 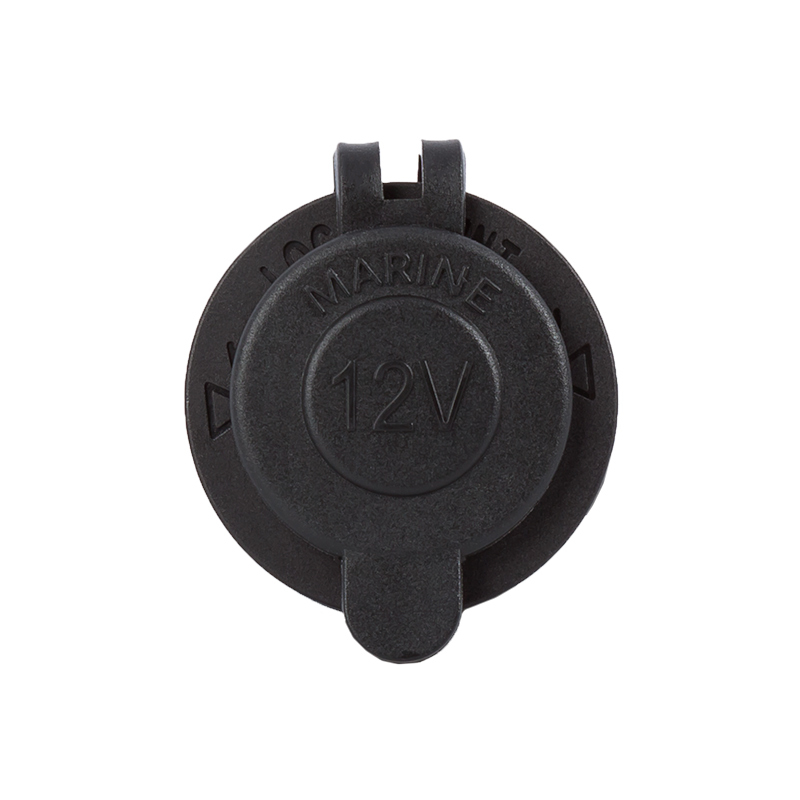 The 12V socket is designed to fit in round switch panel openings. 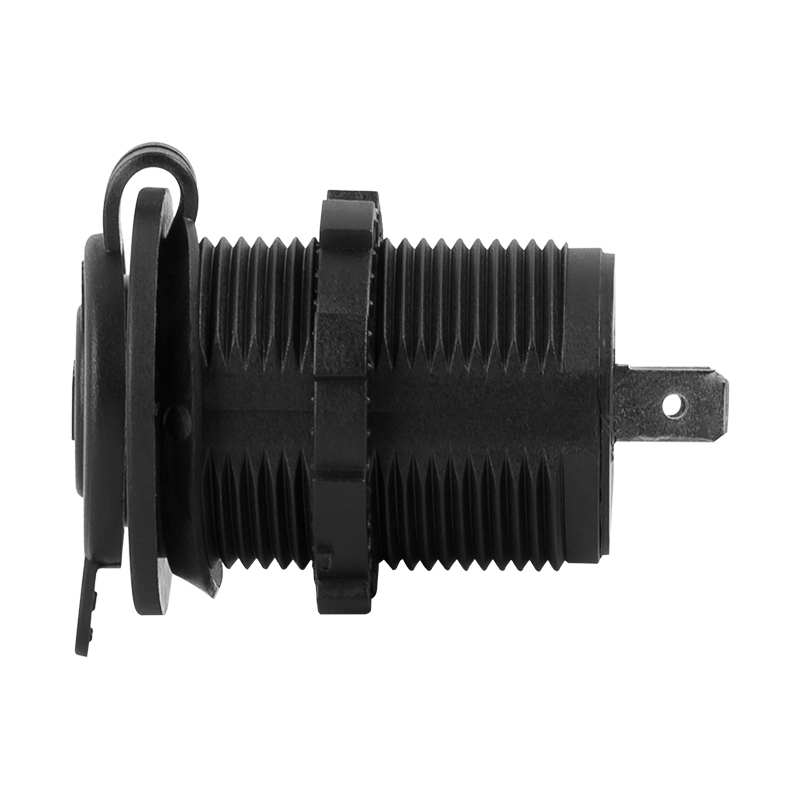 It has (2) 1/4" male contact terminals to be used with 1/4" female push-on connectors. 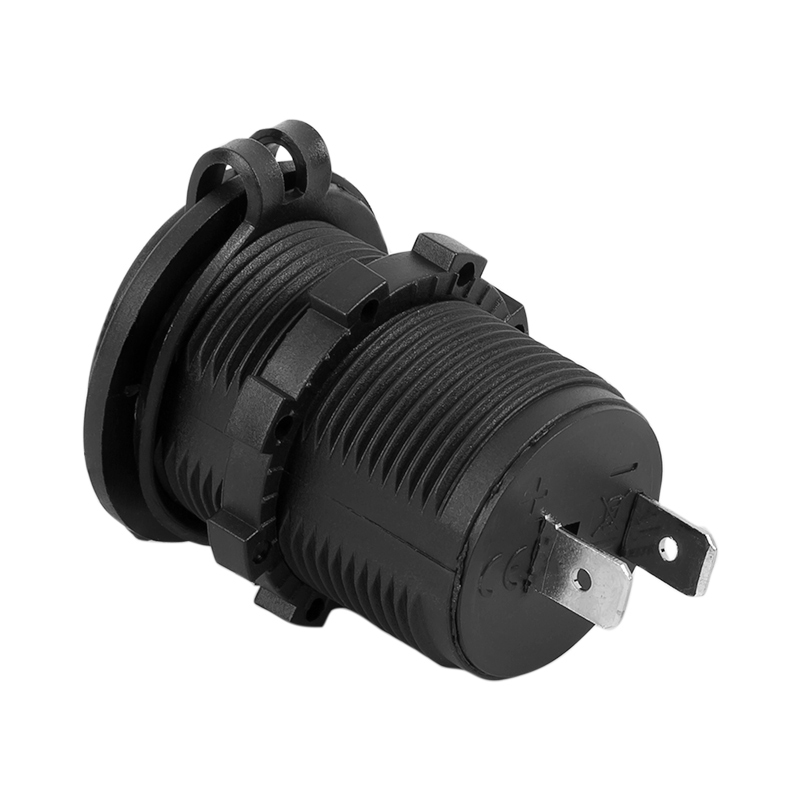 The socket is illuminated by blue LEDs and has a watertight cover.